Fundraiser by Caitlin Stewart : Rancho Relaxo Needs Fencing! Rancho Relaxo is a New Jersey 501(c)(3) animal rescue farm and organization. 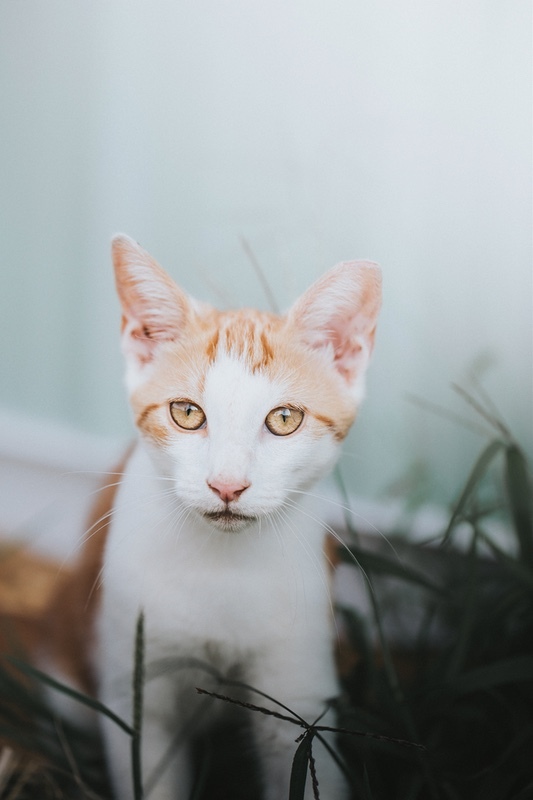 The rescue has been running since 2013 privately – and, In 2015, celebrated becoming an official tax exempt nonprofit. Rancho Relaxo’s sole mission is to help every animal possible and we will not stop until every animal is heard. To date, we have rescued over 300 animals – large and small, all deserving of being free of abuse and neglect. How Did Rancho Relaxo Come to Be? My name is Caitlin Cimini and I am the President and Founder of Rancho Relaxo. I started this journey on a late September morning, years ago, when I decided to rescue a mustang from the US governement on a whim. I named the mustang Halona, which means beautiful choice, and eventually began searching for a farm so she could live in my backyard. After moving in and becoming acquainted with the farm life, I began learning more about slaughter bound horses and animals in general. I was then gifted three old hens as a housewarming gift from my fantastic neighbors, Donna and Clarence, and learned very quickly how nurturing and instinctual chickens were. From there, I began helping with transports and networking for other rescues. I also began fostering kill shelter puppies and kittens before they landed forever homes. My mission was clear the day I drove out to a man’s home who had two potbellied piglets listed on Craigslist, headed to an auction – advertised as food for exotic animals. When I arrived, his children were throwing rocks at the babies – laughing about it as if it were normal to behave that way toward innocent creatures. I realized that the only reason these pigs were going to end up in a better place was because their owner was greedy and wanted to get more money for them through a private sale than through auction. I sobbed my entire ride home, just thinking about how scared they were. That was it for me. 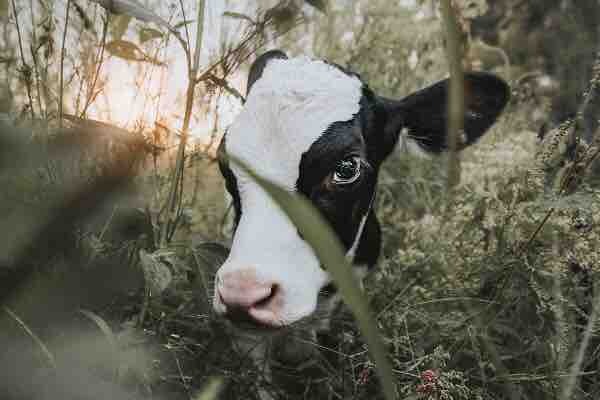 Animals needed a voice somehow – and I was going to be the one to give it to them … until the day I die. That was what I was going to do. 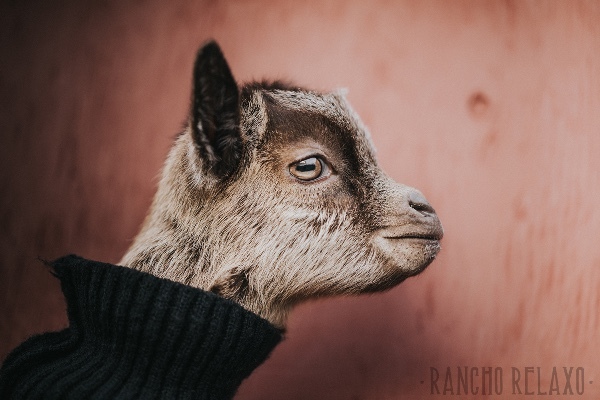 After a few years, hundreds of abuse and neglect cases, thousands of tears and millions of little heartbeats that will go on and on, Rancho Relaxo is a fully functioning animal advocacy nonprofit and every year we spend all of our efforts turning that volume up for anyone in earshot to hear their voices. Why Does Rancho Relaxo Need Funding? In April of 2017, Rancho Relaxo's President and Founder, Caitlin Cimini, was chosen as GoFundMe's hero of the month - which launched our last GFM campaign and brought in donations from all over the world. Because of the success brought on by this particular honorable announcement, we were able to raise all of the money we needed to start up our offsite propery. This property has already allowed us to rescue three slaughter-bound horses, two discarded cats, four abused pigs and numerous chickens in just three short months. We also threw our very first open house and it was wonderful to see over 200 supporters in person to show them the progress we have made! Now that our offsite property is up and running, it is beyond time to work on our home base location. We need more land - which will also demand MORE FENCING. We were all emotional over leaving the property that started it all but it had to be done in order to keep our mission growing. We closed on our new home base location at the end of 2017 and are now trying to add even more acreage to it. We are going to need hundreds and hundreds of feet of strong fencing though - specifically designed to keep 2,000 lbs. animals in and predators out. That is why this campaign is necessary. Please consider donating to this campaign, and sharing it with your friends and family on Facebook, email, Twitter, and text message. Each share makes a real difference! No donation is too small. Every single dollar counts. Back in 2012, when I set out to save one horse from slaughter, I had no idea that Rancho Relaxo was going to grow like ivy in the upcoming 7 years. I had no clue that rescuing one horse from a terrorizing death at the hands of a butcher was going to turn into me changing the way I viewed the world and the sentient beings we share it with for the better. Fast forward to now. We have two properties, a home base location and an offsite location, which amount to a total of over 110 acres. When Rancho Relaxo began, it was being run out of my personal home that was situated on 4 acres right down the street from where we are today. I used to dumpster dive every weekend in order to find materials to build chicken coops, fix our ancient barns, add fencing and more. You would be surprised at some of the things that people decide to toss in the garbage. I used to work as a wedding photographer, a Child Protective Services government representative AND run Rancho Relaxo all by myself. I did not have a single volunteer. Eventually, I allowed people in to help. For such a long time, I remained protective and proud. I told myself that no one could provide for the animals as well as I could. Currently, we have 8 volunteers and 6 employees who are all just as passionate as I am about the well-being of each and every animal under our care. I still work a fulltime job outside of Rancho Relaxo and I do NOT take a salary yet because I have a handful of goals in place for this organization. The biggest goal is the reason I set up this GoFundMe campaign. On January 29, 2019, we made history. 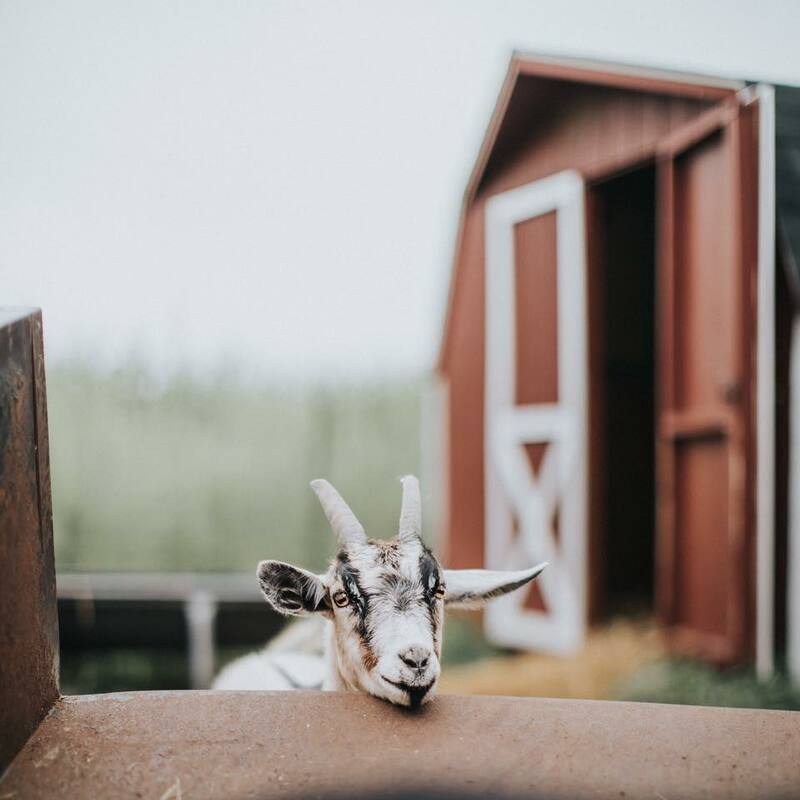 For the first time within the farm-based sanctuary world, two organizations came together for the greater good to purchase an old dairy farm and turn it into a paradise for rescued animals. Twist of Fate Farm and Sanctuary and Rancho Relaxo worked for months in order to make this deal become a reality. The property was immediately split up after closing. Twist of Fate received close to 100 acres of land, a caretaker house and a handful of barns that once caused the pain and suffering of numerous dairy cows. Rancho Relaxo received 70 acres of land. This is where all of you come in like you have so many times in the past. On this open land, we need to build a new pig barn and a new horse barn - as well as put up approximately 30 acres of fencing. Over the last year, we have rescued numerous horses from slaughter and quite a few farm pigs from neglect cases and testing facilities. They deserve the best. You all have come together to turn a broken down old chicken farm into a beautiful offsite facility. You all have come together to allow us to move from our original property to our current home base location when we were busting at the seams. You all have come together in every single emergency that we have gone through. You all have come together to pay off medical bills for some of our most severe cases. You all have been there for Rancho Relaxo and you are the reason we are where we are today. YOU. I sometimes get nervous that the support you all provide is suddenly going to stop but I always remind myself that you all care just as much as I do. Just because you aren't here doesn't mean you aren't in it for the long haul. I read your messages that mention how our animals here at Rancho Relaxo have changed your lives. I read your emails that state how our rescued animals have gotten you through hard times. Your stories and your reasons behind following our journey are heartfelt and so real. We couldn't have asked for better supporters than all of you. Today, I am once again asking for your help. This will officially be the largest project we have ever taken on. The build alone will cost over $200,000! I do have faith that we can pull it off in the next 60 days. 33218424_1549463734473413_r.jpeg33218424_1549463776535376_r.jpegHorse barn $146,420 / Pig barn $29,350 / Lean-tos $53,825! This does not include fencing. 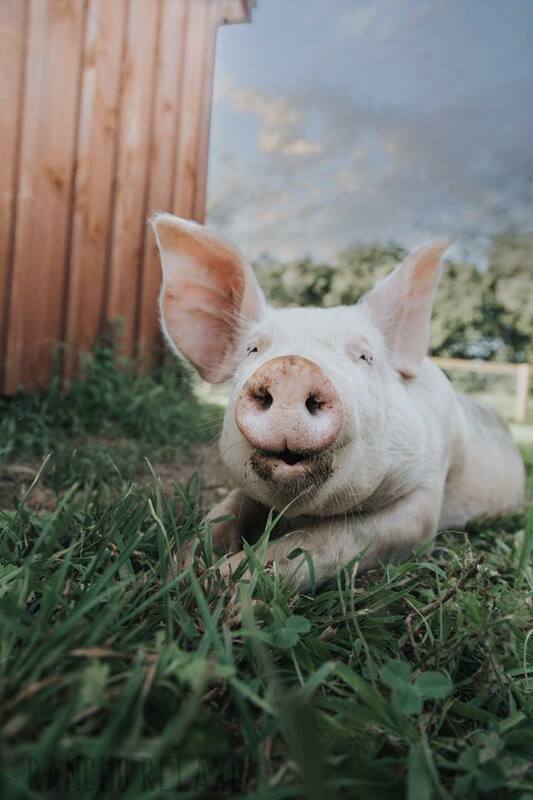 33218424_1549462669706014_r.jpegNahko, who was rescued from a gutter at a slaughter farm, deserves a new barn and more space to root! 33218424_1549462887154821_r.jpegMoody, who was locked in a shed for years and living in his own feces before we rescued him, deserves this expansion! 33218424_1549463016557681_r.jpegJD, who was severely abused then sent to slaughter before we rescued her, deserves a brand new stall to call her own. 33218424_154946313112611_r.jpegStephen and Janet, who were orphaned as newborns, deserve their very first barn! 33218424_1549463219675544_r.jpegLoche, who lived in a tiny coral with 10 other horses and forced to eat nothing but sticks before we rescued him, deserves to come out of boarding and live here at our homebase! This short list of animals in need of this expansion does not include everyone here at Rancho Relaxo who will benefit from it and it sure leaves out all of the future rescues that could take place if we get this project done. We have over 200,000 followers on Instagram. We have over 40,000 followers on Facebook. Can you imagine what we could do if everyone donated $1, $5, $10? And if you can't donate monetarily, please consider sharing this campaign with your friends and family. Thank you all for your continued love and support!